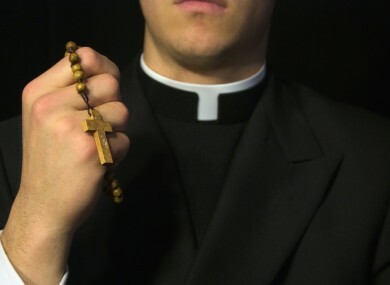 THE CATHOLIC CHURCH was within its rights not to renew the contract of a married Spanish priest, the European Court of Human Rights has ruled. José Antonio Fernandez Martinez was ordained in 1961, but applied for a dispensation from celibacy 23 years later. Having not received a response, he was married a year later. He and his wife had five children and he went on to teach Catholic religion at a school in the Murcia region from 1991. In November 1996 the Murcia newspaper La Verdad published an article about the “Movement for Optional Celibacy” of priests (MOCEOP) of which Fernández Martínez was an active member. The article included comments by a number of participants indicating their disagreement with the Church’s position on abortion, divorce, sexuality and contraception, illustrated by a picture of Fernandez Martinez with his family. The following year, he was granted dispensation from his clerical duties, but was told that his contract would not be renewed unless a bishop agreed. He brought about a case in 1997 in which a tribunal found that he had been discriminated against because of his family situation. However, the education board appealed that decision and the argument went to the Spanish Constitutional Court before being sent to Europe. The ECHR found that the decision not to renew Fernandez Martinez’s contract “was legitimate and proportionate”. In the court’s view, it was not unreasonable for the Church to expect particular loyalty of religious education teachers, since they could be regarded as its representatives. Any divergence between the ideas to be taught and the personal beliefs of a teacher could raise a problem of credibility when that teacher actively challenged those ideas. The court found that Fernández Martínez had voluntarily been part of the “circle of individuals who were bound by a duty of loyalty towards the Catholic Church”. The fact of being seen as campaigning in movements opposed to Catholic doctrine clearly ran counter to that duty, they said. Email “Catholic Church was within its rights to sack married priest says European Court ”. Feedback on “Catholic Church was within its rights to sack married priest says European Court ”.